The New Museum is a quirky place. Far from the uptown powerhouses MoMa, The Met, Guggenheim or The Whitney its Kazuyo Sejima and Ryue Nishizawa/SANAA-designed building sits on the Bowery sublimely doing its own thing with no greater mandate than to present, study and interpret contemporary art. But like everything else, technology leaves the complacent behind. Museums know this and they are working to anticipate and profit from the technological revolution. The Museum of Modern Art has hired a director of research and development to investigate how technology could help museums move into the future and the Metropolitan Museum of Art appointed its first chief digital officer. The New Museum has gone furthest of them all by launching New Inc, the first museum-led incubator for Art, Design & Technology. Julia Kaganskiy is the 27-year-old woman tasked with the job of organizing this ambitious project from the ground up, everything from conceptualizing the space to picking the players to figuring out how to make it come together into something larger than the sum of its parts. With some 40 participants, it's up and running with lectures, workshops and connections to potential investors part of the mentoring program. 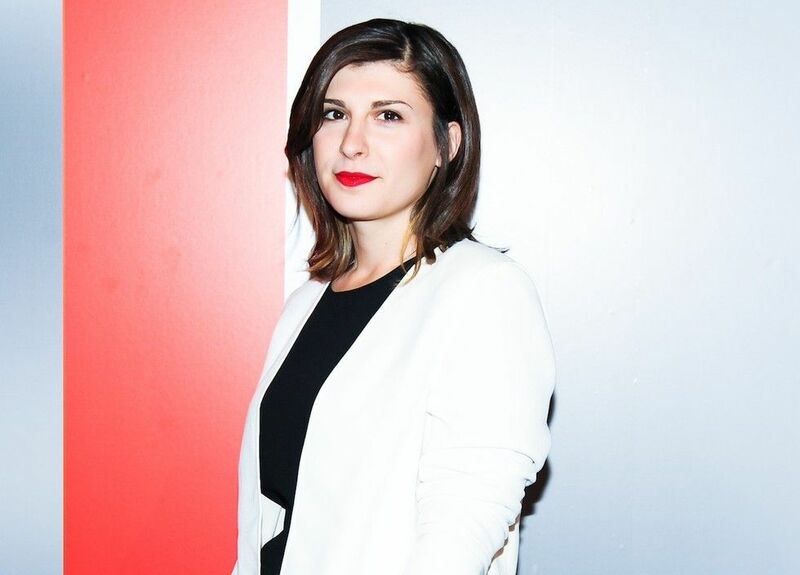 After studying journalism and art history at Emerson College, Kaganskiy found herself in New York during the 2008 tech boom when she started the #ArtsTech Meetup, a networking group of 4,000 art world professionals from museums, galleries, art-related startups and artists exploring social media and other digital technologies. She was also the Global Editor of the Creators Project, a partnership between VICE Media Group and Intel. Here, I sit down with Kaganskiy to discuss the New Museum's incubator, technology's evolving role in the art world and why artists still need some business savvy. You seem like a perfect fit for this position. Artists working with technology has been happening since the '60s, but it hasn't really been indoctrinated into the canon and it seems that there's a shift taking place right now, kind of feels like there's a lot of energy bubbling up: LACMA's reinstating their art and technology program from the '60s and '70s; the Barbican is opening up a digital revolution exhibition this summer; the first digital art auction happened in October at Phillips so it feels like it might be having a moment. For me it's been something that I've been attracted to because I was trying to make sense of technology. How was it when you arrived on the scene in New York? Tumblr had just launched, Gawker was this hotbed of new media journalists and Valleywag and all this gossip was going on about the young, hot startup folks and Silicon Alley as we now know it was just emerging. Initially, I was working in digital learning at the MoMA and helping launch their online courses and their blog and their iPad apps and things like that. But then I got more interested in how artists were using these tools and kind of casting a critical lens on these tools as well. And that's when you did the meet-up? That was when I started organizing the meet-up, which ended up traversing all these different interpretations of art and technology. On the one hand you had startup entrepreneurs who were essentially creating things like the Artsy's and the Paddle 8's who are using technology as a solution for art world problems. Then you also have the museums and the galleries and the cultural institutions that are trying to figure out "What do we do on the web?" "What do we do on mobile?" "How do we engage with our audiences using these new tools and platforms?" On the other side of the spectrum you have the artists that are just the wildcards, using these tools in completely novel, inventive ways that don't necessarily apply to the others but have more in common with them than people normally realize and certainly serve to inform and inspire the way that a museum might think about Twitter or Tumblr or whatever the case might be. So now you're going to have an incubator that works to integrate art, technology and commerce. Essentially this program came out of constantly being confronted with people who were working at this intersection of art design and technology who were thinking and working more entrepreneurially but coming at it from a creative point of view. That line between art and commerce is blurring more than ever right now. It's blurring a lot! But has it really been that pure? Warhol was doing Perrier bottles. It's unacceptable for an artist to toy with that until they reach a certain stature, and then it's like sure, make a Louis Vuitton handbag, whatever. I love Richard Prince AriZona Tea. I'm more interested in helping these young creatives figure out a way to do the work they want to do. Work that is fulfilling and challenging and interesting. That can also turn into a business. Right and also get paid. So the space is an open floor plan, it's a shared workspace and it's designed to be this interdisciplinary community where you might have a fashion designer sitting next to a game developer sitting next to an architect sitting next to a software developer, and the idea is they all come in with their own agenda, their own purpose, what they're trying to do. And on top of that they get a professional development program that includes weekly seminars from lawyers to talk about the difference between patent vs. trademarking, discuss various kinds of IP-related issues and questions, and also talk about equity structures. Bringing in a PR branding agency to talk about positioning, how do you tell your story in the press, how do you differentiate what it is you're doing from other people in the space? Basic business training for artists and designers. Do they own everything they make? Of course. It's a much more transparent relationship, especially because we're asking people to pay for the space. They own all of the IP, we don't take a stake in it in the way that you would in a traditional incubator. We're more interested in looking for ways to support the development of the idea, and alongside that, to develop a business model although we're less interested in emphasizing scalability.